Jacqui in her Secretary’s report at the meeting highlighted the main activities and projects undertaken by the group since the previous Annual General Meeting in March 2017. Among the activities listed was the successful co-ordination of the ‘Along the Black Pigs Dyke’ project, which was run in partnership with Cullyhanna Community Partnership. This crossborder event, which attracted €10,000 in funding included Cross Border guided tours, photography exchanges, musical workshops in schools, a cross border Calendar and a Folklore booklet. The final presentation of the Project was held in the quaint Tin Church, at Laragh and was attended and addressed by Minister Heather Humphreys, who was the then Minister of the Department of Arts, Culture and Heritage. One of the other major activities during the past year was the successful staging of the ‘My Town My Dream’ Project, which involved the participation of students from local primary and post primary schools. This project received the backing and support from both Castleblayney Regeneration Committee and Shabra Plastics Recycling. The project encouraged students to consider what activities amenities and infrastructure they would include in their aspirations for Castleblayney in the future. The projects final presentation was held in the splendid Iontas facility and on the night a display of replicas, models and essays were showcased for the general public to view. On the night key speakers included Rita Shah (Shabra) Annmarie McHugh (Castleblayney Regeneration Committee) and Marese Heavin, Chairperson (Castleblayney Community Enterprise). 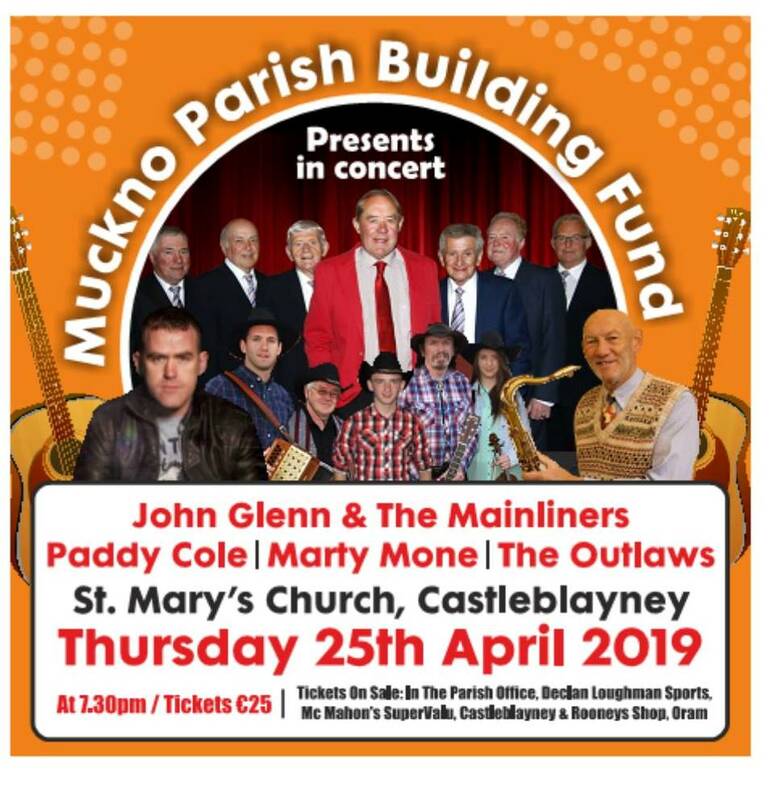 During Marese Heavin’s term as Chairperson another highly successful Muckno Mania Festival was held and Marese has already helped to initiate plans for the 20th Anniversary of the Muckno Mania Festival, which will take place on 5th to 8th July this year. The Secretary’s report also acknowledge the generous financial support received for local businesses who sponsor the Festival activities. In December 2017 Castleblayney Community Enterprise held an event in the Enterprise Centre to mark 30 years since the forming of the existing Castleblayney Community Enterprise organisation with many of the Directors present at the formation of the group in attendance the night, which was attended by current and past members of Directors and staff was also addressed by Gabriel O’Connell, Chief Executive of Monaghan Integrated Development. The secretary’s comprehensive report also highlighted the group’s involvement with other local organisations such as the Castleblayney Regeneration Committee and the Castleblayney Sustainable Energy. The pending feasibility study being carried out by MCA Consultancy was also highlighted. 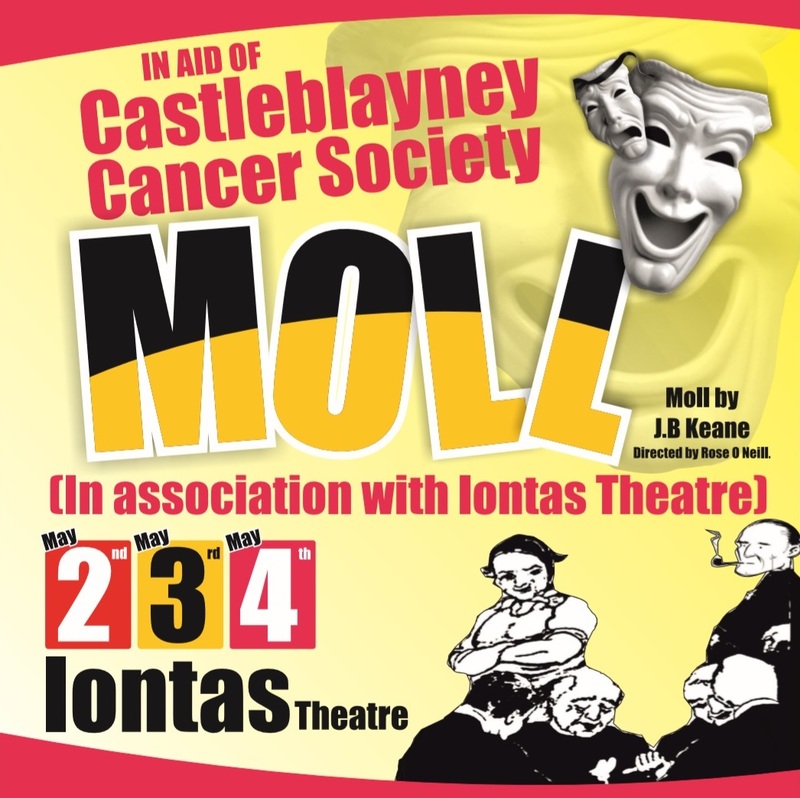 The study has received the generous financial backing from Monaghan County Enterprise Fund and Monaghan County Council. Following from the success of previous PEACE Programmes Castleblayney Community Enterprise made an application to the current roll out of the PEACE IV Programme. The application which was sent to Monaghan PEACE IV Partnership and Monaghan County Council was made in October 2017 to work again with cross community groupings and ethnic minorities. A contract was issued for the project in May 2018. Acknowledgements were also made in Jacqui’s report of funding received from Pobal Department of Rural and Community Development, Monaghan County Council Community and Environmental Scheme and Rapid Scheme, Carrickmacross/Castleblayney Municipal Area, Monaghan Sports Partnership Department of Arts, Heritage and Gaeltacht Festivals Scheme, Monaghan Arts Partnership and Louth County Council BEC Scheme (SEAI). Following the Secretary’s Report outgoing Chairperson Marese Heavin then addressed the Annual General Meeting. She began, “it’s hard to believe that I am sitting here tonight addressing my 3rd Annual General Meeting of Catleblayney Community Enterprise. When I made what was at that time an anxious decision for me to take on the position of Chairperson in November 2014, I did so on the premise that it was for one year! Its strange, how the spirit of Castleblayney Community Enterprise gets hold of you and takes you on a different journey or rather a longer journey than what you intended. Though I have no regrets and would not change anything I did in the past 3 years or so, I now feel it’s time to pass the baton on to someone else. Tonight is about reflecting on the activities carried out by Castleblayney Community Enterprise since our last AGM in March 2017. These activities were so well described by Jacqui and are certainly many and varied”. Briefly alluding to some difficulties over the past year, she added; “however, we have not allowed these to cast any shadows over the day to day workings of our group, nor have they in any way prevented us from continuing to be the progressive and dynamic Board that we have grown to be. This can easily be borne out by our ability to embrace new activities and to successfully deliver them as we did with the cross border project, ‘Along the Black Pigs Dyke’, which involved a partnership with Cullyhanna Community Partnership. This ability is further demonstrated by our current involvement with another PEACE project titled ‘A Community Together’, where we will be working closely with the Church of Ireland and the Blayney Cultural Network group. In both these projects we have acted as the lead partner, which is testimony, if it was needed of our track record in project management and financial administration, but above all, our success in being granted both contracts demonstrates our credibility as a successful Community organisation”. In her address she also made special mention of the current state of the Enterprise Centre building, which she described as ‘our jewel in the crown’, and continued, “I am always amazed just how far we have come in relation to our derelict site and a rundown old school building as it was in 1987. We should ask ourselves how effective would we be as an organisation if we did not have staff or a manager to implement and support our ideas and activities, or would we even have lasted 30 years. In truth, probably not. However in truth too, we would never have had the opportunity to have staff if we did not have our very own building from which they could be based and work from. So we should always endeavour to insure that we as a Board look after our important jewel here whether that is through availing of small grants that allow us paint the building inside and out, or that allows us re-carpet offices or units”. Marese’s address also highlighted the group’s plans to move forward and the importance of how engaging an external consultant to put the feasibility study would draw additional expertise and also afford the group the opportunity to look at their desire to create further enterprise space with a fresh pair of eyes. In concluding she also acknowledged all the groups funders as listed in the secretary’s report and made special mention of the main funder Pobal Department of Rural and Community Development and Bernard Bolger our development officer. She also acknowledged all those who provide financial support to enable the group stage the Muckno Mania Festival. She thanked the Secretary Jacqui Hanratty and fellow Board members and the ‘amazing staff here in the Centre’. Finally, Marese stated, “though I have taken the decision to step down as Chairperson tonight, I know I will miss my role. It has been a huge learning experience for me and it has brought me on adventures that I would never have dreamed of. I am so grateful to all my fellow members for the opportunity you have given me to be your Chairperson, for your trust, support, hard work and unending loyalty. You have made my role doable. I am more than willing to play my part in supporting the new Chairperson in any projects or activities that as a Board we undertake in the interest of Castleblayney Community Enterprise and I wish the new Chairperson, the very best of luck in their new role”. Following Marese’s address there were glowing tributes to her and her active role from Directors Padraig Watters, Aidan Campbell and Pete McMahon. Marese then officiated for the election of the new officers, which were as follows; Chairperson, Gary Ogle, Vice Chair, Liz Christy, Secretary, Jacqui Hanratty, assistant Secretary, Maire McQuillan, Treasurer, Pete McMahon, PRO, Sean McDonald. Incoming Chairperson Gary Ogle in accepting his election to the role of Chairperson said the position provided him with a very different challenge to his previous role as treasurer, but he was however, looking forward to it. He also paid tribute to outgoing Chairperson Marese Heavin who he said, had added significantly to the legacy of Castleblayney Community Enterprise during her tenure and reminded those present of her list of achievements from when she first took up the role in 2014. This concluded the business of the Annual General Meeting.